Beginning an OMD single with a sermonette-like church organ solo was not the most auspicious of intros possible. Then, the sombre organ line billowed into florid life as the swelling “strings” and medium tempo erupted into the sort of tune that got crowds doing “the wave” in unison at events you’d rather not be attending. The music was embarrassing, but the lyric content showed McCluskey writing a pointed and poignant look back [on the shy side of 40, no less] on his life as a pop star. 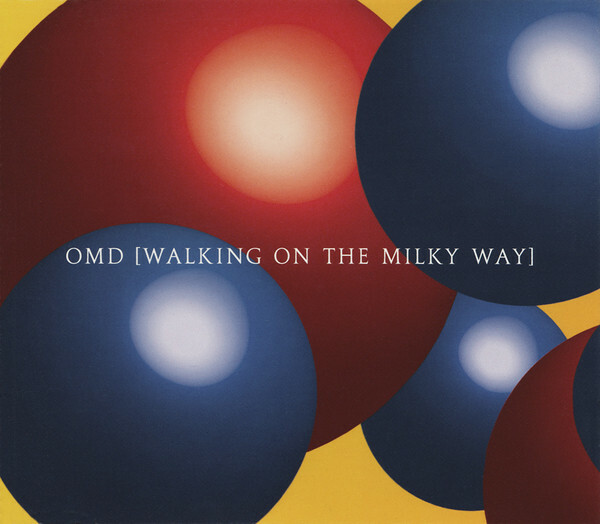 It may have meant more to him, generally, but was infinitely preferable to the sorts of trite pop clichés OMD made their stock-in-trade during the first two albums of OMD’s “second coming” era. The single charted in England at #17; the first top 20 for OMD since “Pandora’s Box” five years earlier. But McCluskey took it like a body blow. He thought it was the best song he could write [okay, so the lyrics were good, but I can’t rate the overblown, music-to-wave-lighters-by] and he was quite petulant about what he saw as its failure in the marketplace. Ironically, he would never again attain such single chart highs, but he was correct in assuming that his commercial day in the sun was ebbing. Actually, it had ebbed by 1992. 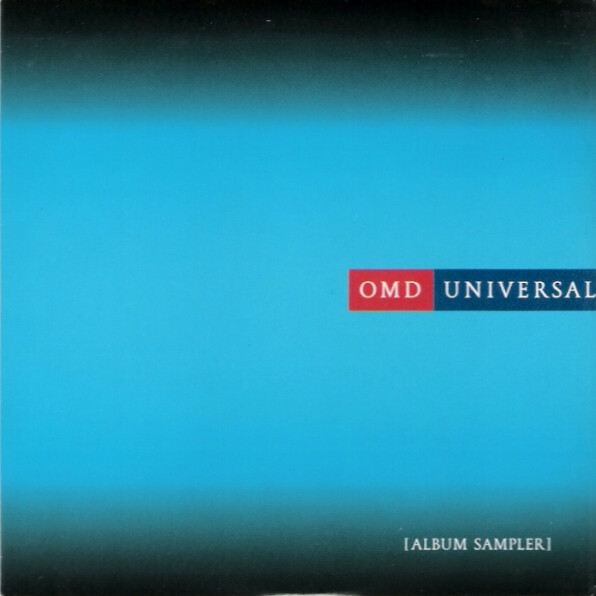 As a final gesture, the title track would be the last OMD single released from this period, and as was common with OMD’s non-charting singles, it peaked at #50 in the UK charts. “The Black Sea” was a typically self-flagellating Andy song with [sampled] orchestral accompaniment, solely by Matthew Vaughan, suggesting a somber, all-acoustic environment for this former electropopper. McCluskey’s vocals were shaded with effects to further pull him from the spotlight on this pensive number. I had to admit, that the overall vitality of the writing reflected McCluskey getting more real and ditching the embarrassing chartpop leanings of his songs that began in earnest with “Crush” and became terminal by “Sugar Tax.” That said, the environments of these new songs were remarkably eclectic, with almost no sonic continuity present form one song to the next. As compared to the almost monomaniacally focused “Sugar Tax” which ran the gamut from A to B, or even the slightly more stylistically expansive “Liberator,” “Universal” was certainly the most varied OMD album yet. More new ground was broken with “Very Close To Far Away,” a song Paul Humphreys had written with Andy, indicating their post-split bad feelings had by then been abandoned. But it was most certainly not business as usual for those two. The longish song was more than touched by a thread of techno-psychedelia with sliiiightly phased lead vocals and subtle backward effects. It made me vividly recall the instance of hearing the 1982 single of “Endlessly” by John Foxx, who first went down this road. Fifteen years later and not too many had bothered investigating synthetic psychedelia in the interim, but I somehow think Foxx heard this and was impressed. The soulful backing vocals, courtesy of Carol Kenyon of “Temptation” fame, were surprisingly at home here among this swirling, blurry sound. It also helped that she shied away from the shrill register that I associated with “Temptation.” The song ended with Kenyon soloing free in the 5:45 song’s coda. When the next song began on the heels of that, I was unsure that there had been a transition at first, but as the massed vocals of a gospel choir manifested, it was clear that we were not in Liverpool any more… we were in Kansas! This entry was posted in Core Collection, Designed By Peter Saville, Rock GPA and tagged 1996, OMD, Universal. Bookmark the permalink.